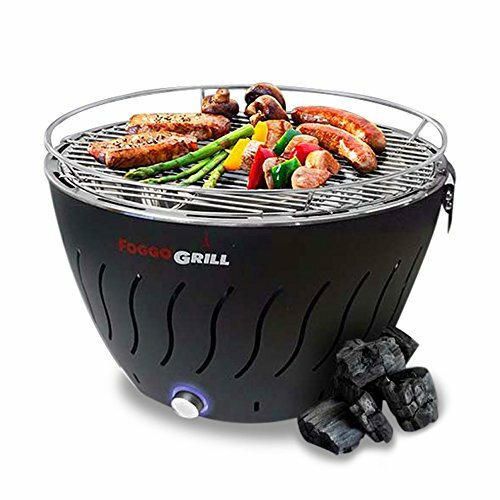 The Foggo grill is a newcomer in a relatively new niche of indoor, battery powered, charcoal grills. 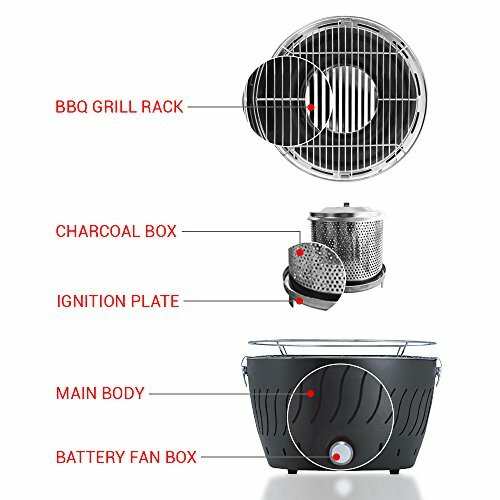 The heating method for grills like this uses a minimal amount of charcoal, that is fed oxygen by a small, battery-powered internal fan. The heat of the charcoal gradually warms the grill grate surface. 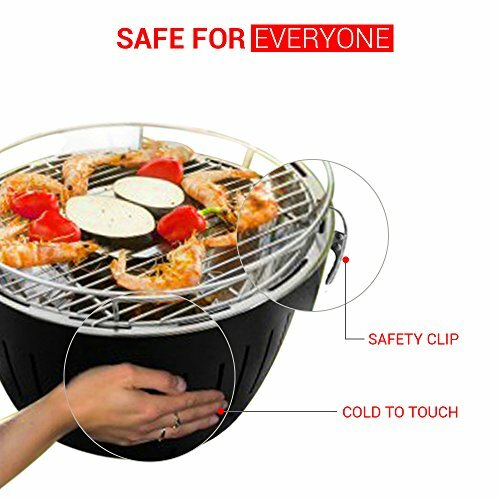 As it heats you can use it to grill a small amount of meat and vegetables. Foggo claims that the grill is smokeless, but that’s not 100% true. More likely than not your apartment manager will disagree with whether or not the Foggo is allowed in one of their units. When the grill is recast in the light of being a picnic or beach trip grill, then it really has the chance to shine as intended. 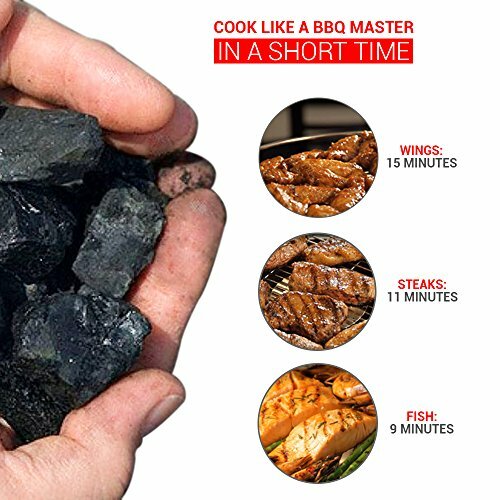 A lot of time when you take the traditional charcoal grill with you to the beach or the park, you are stuck with this smoldering coal bed that lingers for hours, needs to be constantly checked on, and you worry about putting it in the trunk of your car. It’s a factor just like this that helped make portable gas grills popular, and people just learned to live without the charcoal flavors they craved. The Foggo needs fire starter gel to ignite it with minimal smoke. Unfortunately, they don’t provide it with the purchase, and you have to order it separately. The internal fan needs four AA batteries, which also aren’t included. When the fire first starts, there will be a little bit of smoke. 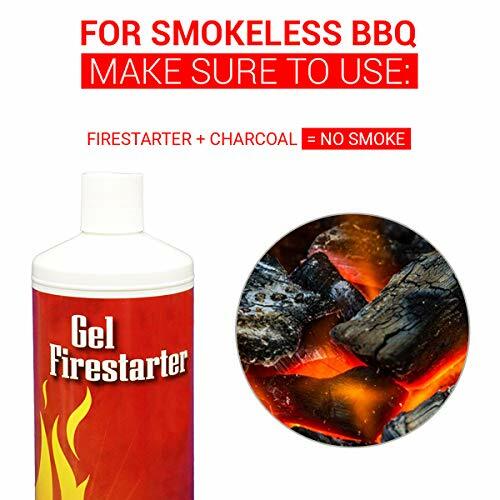 After that, it will be nearly smokeless. The Foggo’s double walled construction also means it is cool to the touch on the outer shell, even when it’s lit. 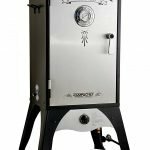 The small charcoal chamber also locks in place, for added safety when you’re grilling. At first glance, and perhaps even first touch, the Foggo feels a little cheap and flimsy. 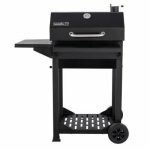 You have to also keep in mind that it was never positioned to be a heavy duty do-anything charcoal grill. For what it is intended to do, it’s got the quality where you need or expect it to be. Even though it doesn’t come with the fire starter gel or the AA batteries for the fan, Foggo does include a carrying bag, as well as a thoughtful instruction manual. There are even some tips to help you make the most out of your grilling experience. There isn’t much in the way of assembly with the Foggo. You simply unbox it and set everything up. It shouldn’t take you more than ten minutes. If you are looking for a portable charcoal grill that will give your beef a steakhouse sear in just a few minutes, the Foggo might not be for you. When given the time to come up to full heat, the Foggo can indeed sear a piece of meat, and mark things like chicken skin. Still, it’s never going to get ripping hot. It’s probably better to think of it for grilling chicken tenderloins, beach lunch hot dogs, and giving some smoky fire-kissed flavor to vegetables. The important thing is to give it time for the heat to build up and absorb into the grill grates. If you just start it up and slap some meat down, you aren’t going to get great searing results. The direct contact between the cold meat and the metal of the grate will limit the amount of heat the grates can retain. So give it 10 to 15 minutes after ignition to preheat to its maximum capacity. One small issue with the Foogo is the lack of a lid or dome. This means any residual heat that escapes the grates is simply lost. You can get around this with a simple tent of heavy-duty tinfoil. Not only will it trap some more of the smoke, but the heat might make it easier to cook through something like a bone-in piece of chicken. While it is nearly smokeless, you shouldn’t just assume that it’s allowed by your apartment covenant rules. Depending on what you are grilling on it, the Foggo could still trip a smoke detector. 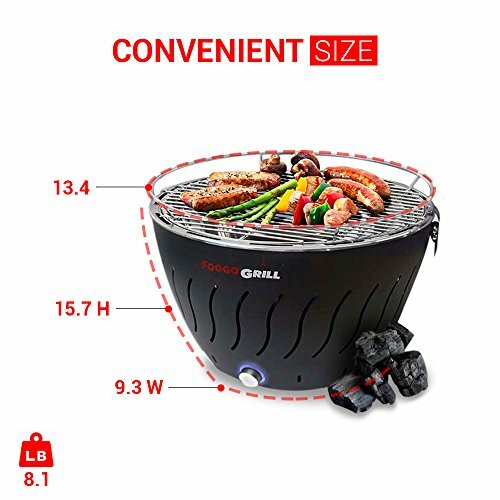 The top grill grates measure in at a 13.4 diameter. When you account for the edges, it means you have a little under 140 square inches of grill space. This should be enough to cook up enough hot dogs for three or four on a beach trip or picnic. 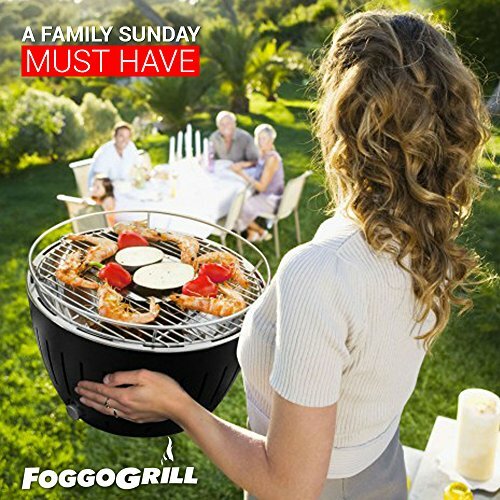 Like other grills that use these same design concept, the Foggo is full of a lot of little special features. The double walled construction keeps the outer shell cool, even while you are grilling. The battery-powered internal fan keeps the fire fed and also works with the internal filtration. For the most part, the Foggo is relatively easy to clean. The grates can be wiped down. If you need to release some stuck-on material a nylon grill brush is preferable to an aggressive metal bristled brush. The grill rack and inner splasher bowl were specifically designed to be dishwasher safe. Most other components can simply be wiped down with a warm, wet washcloth. The Foggo comes with a 30-day money back guarantee. Some online manufacturers also offer affordable extra protection plans. 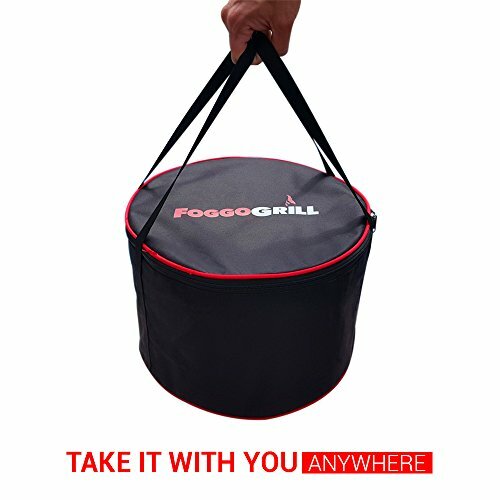 If you are in the market for a compact, lightweight charcoal grill that you can take with you for a picnic or a trip to the beach, then you might be interested in the Foggo. Just make sure to give it enough time to heat, up. Before you try to use it indoors, make sure it gets a thumbs up from your apartment or condo manager.